Gulliver Jones on Barsoom? . . . Sure, why not? After all, Arnold’s Gulliver Jones and his trip to Mars is often touted as being the source of John Carter’s Barsoom. The theory was propounded originally, I believe, by Richard Lupoff, who turned in a fairly polished essay on the subject. I’m sure you can find it somewhere, and I certainly recommend its reading. For those purists, I also recommend Edwin Arnold’s novel, which can also be found on the net. For my own part, I remain unconvinced. Burroughs' sourcing and inspirations are far too transparently the works of Percival Lowell and other scientists of the age. It was the astronomers who built up the vision of Mars as a formerly green and lush world now deep in decay, its continents weathered flat, its seabeds drying, its life ancient and clinging precariously to oasis, canals and ocean bottoms. It was Percival Lowell who gave John Carter his amazing jumping ability, and who gave Burroughs his fifteen foot giants, intelligent but inhuman, and a decaying society fighting for its survival. It’s true enough that Arnold’s romance featured a dying decadent society, an alien princess, a river of death, and barbarian invaders. But then again, rivers which are receptacles for the spirits dead appear on Earth in the Nile and the Ganges. Every adventurer seeks a princess and contends with Barbarians. So, the case for Arnold, I find doubtful. But what the hell. Even the allegation, whatever its merits, has given Gulliver Jones a lease on life he would never have had, except as a quasi-part of Burroughs Martian canon. 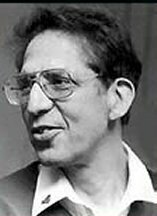 It’s lead to fan debates, new publications of his novel, and even a distinctly Burroughsian Marvel comic series. Most tellingly, in ‘The League of Extraordinary Gentlemen’, no less than the great Alan Moore, sees fit to join these remarkable visitors to Mars, having them link their forces in an assault against alien invaders. 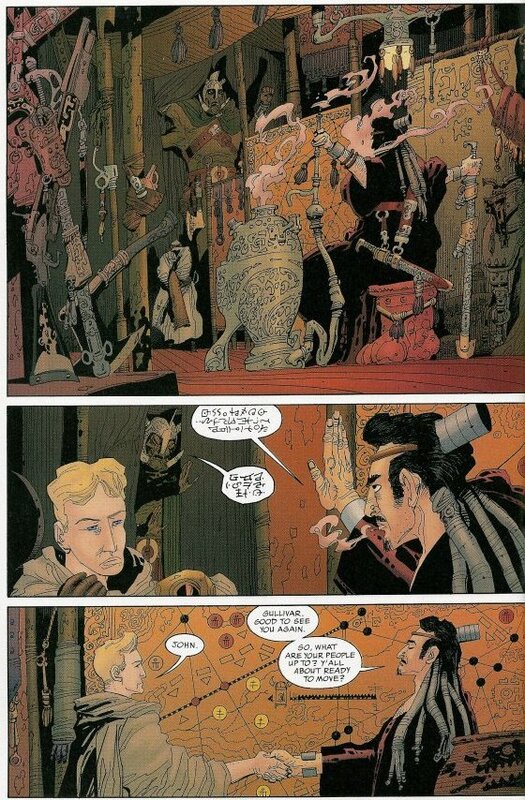 Well, if Alan Moore says Gulliver Jones is on Barsoom with John Carter, then its good enough for me. That’s all but next to Edgar himself rising from his sleep to wink at us. But if we play this game, if we, as an intellectual conceit, accept Gulliver Jones as a quasi-member of Burroughs Martian canon, then shouldn’t he be on Barsoom proper with John Carter, Ulysses Paxton, Tan Hadron, Ras Thavas and the rest? (I note that there is a ‘Wold Newton’ essay out there arguing that Ulysses Paxton is actually Gulliver Jones, or something, but frankly, that’s a bit too far fetched for me). But if Jones is on Barsoom, then the question arises, where the hell is he? 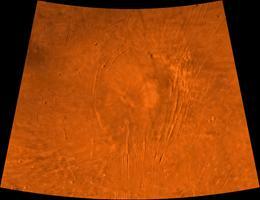 At first, it seems that there is very little resemblance between Gully’s Mars and Carter’s Mars. Carter’s Mars is a dry and forlorn desert world. Gully, on the other hand, enters a world with a sea, and with rivers and forests. Gully’s river of death leads north, Carter’s leads south. Carter’s world has all sorts of fierce many legged critters, Gully’s creatures seem less extraordinary. On the surface, it seems that Arnold hasn’t read his Lowell, and Burroughs harsh desert Barsoom is a very different place than the gentler more idyllic land Gully is familar with. But that just means we have to be creative. And attentive. All too often, creativity is a tender young thing of flexible morals, and detail is the man with the cash. One gets the best out of the other. So let’s take a close look at Gully’s world.... Gulliver Jones comes to the northern hemisphere of Mars. All right, that’s hardly controversial. But on the other hand, we don’t appreciate just how far into the northern hemisphere it actually is. The glaciers of the north pole are only a few lacksadaiscal days journey away from Seth, the last city of the Hither people. Consider: Gulliver winds up on Mars, near the city of Seth, where he meets and falls in love with the Princess Heru. Seth appears to be on the shore of an opal sea, but it also borders a river or two. The river is obviously draining into the sea. The area is described as rich temperate forest land. Once Heru is kidnapped by the Thither people who have sailed across the sea. Gulliver sets out to rescue her. He gets knocked out and knocked into the water for his troubles, landing on some floating booty and drifting on the current, which appears to take him northwards. Eventually, he makes his way to shore, finds a friendly village and procures a boat. His attempts at sailing, however, lands him in the river of death, which leads him to the glaciers. As nearly as I can tell, this takes all of three days at most. Now, it seems obvious that from the direction of the sea current, that the sea is flowing north, and that the river of death flowing northward, is actually draining from the sea itself. Saltwater tends to be less prone to freezing than fresh water. So its likely that the ‘river’ that abuts the glaciers is heavily salted, literally, it comes with freeze protection. And in fact, its likely that the salt water river may be the source of the erosion of the glacier that Gully finds. However, by odd circumstance, it appears that the glacier has melted a bit, or gone through periods of melting and freezing, which occasionally leaves the frozen dead exposed. There’s a very odd climate phenomena here that will demand attention. Gully spends a night among the dead, finds a friendly scavenger, and gets the hell out of there. He wanders along until he encounters a friendly woodsman and spends the night with him. Thereafter, he walks for, at most, a few more days until he comes to the land of the Thither people. On land, he goes on foot, which means he can hardly be traveling too fast. He is not mounted. In other words, in something less than a week, perhaps as little as four or five days, Gully has traveled all the way up from Seth, the Hither city, to the Polar Glacier, and then back down south to the Thither lands, where he learns that Heru is only two days ahead of him. Now let’s think about this. Gully is not traveling fast. For several of his days, he is on foot, even when traveling by boat, he isn’t under sale, but simply paddling occasionally with the current.. He dawdles in the company of various people, he gets lost a couple of times, taking the wrong path more than once. He takes the long way round. In short, he can’t possibly have traveled any great distance. Nor, for that matter, can Heru have traveled all that far, although the matter is more complex. While we might think that a relatively straight line by boat should be much faster, she’s only two days ahead of Gulliver. This suggests that her travel time by boat might be as little as two or three days. Well, let’s speculate that its not a terribly big sea if it can be crossed in two or three days. An ocean is right out of the question. The likelihood is that it is likely a relatively small body of water. And in fact, it might be even smaller than Heru’s two or three day crossing suggests. There’s nothing to indicate that the Thither people are particularly good sailors, or that the winds and currents favour them. There’s nothing to indicate that they pursued a direct route home, without stops. Indeed, the situation seems quite the opposite. A woman that Gulliver meets on an island has news of the Thither fleet and its northern progress. So clearly, its not taking the direct route, and its making a few stops along the way if its progress has become common gossip. It’s quite possible that their route was only marginally less circuitous and slow than Gulliver’s own. Which suggests a quite small sea after all. There are a few other clues. Gulliver at one point makes reference to the short Martian night. Well, we know that Martian days are as long as Earth days, a half hour longer, even. So to call the Martian night short is suggestive. Living up in the northern latitudes, I can testify that in the summer, due to the angle of the Earth’s axis, days get very long and nights become very short, only a few hours. Again, another suggestion that Gulliver is located at extremely northern latitudes. Gulliver observes fur bearing creatures, including an elklike animal, and two ratlike monstrosities the size of elephants. Now, there’s little enough to make of this under normal circumstances. But on Barsoom, the only fur bearers inhabit the region of the poles. And of course, the ‘opal’ or whitish sea, suggests ice and frost, again, implying that this area is near the poles. All of this goes towards putting Gulliver in extreme northern reaches of the planet, whatever planet he is on. All of this seems to add up to a case of the ‘sea’ and the Hither and Thither people both being far in the northern hemisphere, just a short distance from the glaciers of the north pole. Assuming that Gully is travelling sixty miles a day (given that he’s mostly drifting with the current, or slogging along on foot that’s an incredible rate of speed) he seems to make the edges of the polar cap in about four days. Which puts it at roughly 240 miles away, call it 300 at most. This is hardly a fast distance. Now, let’s stop for a moment, having exhausted this line of inquiry, and turn to the people Gully encounters. They are not Burroughs Red Martians, that’s for sure. For one thing, these people are white, this is referred to a number of times. They have startling purple eyes, some of them. Their hair is of varying colours, brown is mentioned twice, and I think that there are blonds in there as well. And, they have unusual mental powers, one person teaches Gulliver the language through telepathy, another is able to use his mental abilities to shield himself from lances. They are an indolent and dying race, given to apathy, lazy and nonviolent, driven to their last refuges by barbarians. Seth is the last, or one of the last Hither cities. Across the sea, we see a vanished Hither city, and learn that the Hither folk once ruled far and wide. Well, that’s pretty simple then... They’re Orovars. Burroughs Orovars are a white race, with fair hair and features, now extinct on much of Barsoom, but still remaining in a few decadent enclaves. Most strikingly, the mental powers of some the Orovars that we see in Burroughs are the most developed on all of Barsoom. And the Thither people? They’re quite interesting. The Thithers are red men, like Burroughs own red men. Both John Carter and Gulliver Jones live in a Mars where the red race has supplanted the white. But these are not typical red men, not John Carter’s red men. Rather, Gulliver Jones makes constant reference to them being hairy shaggy brutes. On Barsoom, only one race was known for its body and facial hair, and that was the yellow Okar people. This red race seems like a mixture of the red martians of John Carter, and the hairy okar types. Interestingly, the Okar’s survived inside the north pole on Barsoom, so we might expect that possibly red men of the northern latitudes in certain areas might share a disproportionate mix of Okarian blood. Interestingly, there is one passage where Gulliver Jones describes one of his red men as yellow or yellowish. This is normally read as perhaps a showing of superstitious fear, but it may also be a reference to actual skin tones, in which case, we have another hint as to a mixture of Red and Yellow men. Once again, of course, the Thither’s ethnic make up suggests that we are in the extreme north of Barsoom. The species that Gulliver notes, on the surface, seem to have no resemblance to plants or animals that John Carter encounters. On the other hand, Gulliver seems more of a botanist than a naturalist. Several times he gives detailed descriptions of alien plants of various types but his descriptions of animals tend to be cursory at best, he never goes into detail, merely preferring to call this an elk, that a deer, this an ape and so forth. In only one case, describing a battle between two elephant sized ratlike creatures, does he give us any description. And its not much more than what I’ve just said. So what is going on with Gulliver. Is he actually finding mundane animals among these plants? Or is he actually shortchanging his descriptions, describing the local animals in terms of creatures they most resemble on Earth, and only with the elephant/rats being put to trouble? Perhaps the Elk that tows him to shore actually has eight legs. Gulliver doesn’t say it does, but then, he doesn’t say it doesn’t. So perhaps this ‘Elk’ is actually a semi-aquatic variety of Thoat. And perhaps the black apes that he mentions are six limbed and not four, and actually dwarf relatives of the great white apes. The rat-elephants may be furred cousins to the Zitidars. Gulliver frequently mentions the forests, but we should note that forested areas are not unknown on Barsoom. There are still at least two substantial forests left: Kaol and Invak. But from this, we have two problems: If indeed Gulliver is on Barsoom, why is his environment so clearly subtropical or temperate? He’s three hundred miles from the polar glacier, why aren’t the Thither and Hither all freezing to death? And of course, the second question is where precisely is he? On a Barsoom where nations fly, where ravenous hordes plundered the very limits of the world, how is it that even a small sea could have gone unnoticed? Why are both the Hither and Thither so backwards, where are their flyers and radium rifles? The answers to these questions spring from the same sources: Tharsis. Consider, both the Hither and Thither regions drain into a small sea, which itself drains into rivers or canals which drain towards the polar glaciers. However, a look at the topographic map tells us that the polar zone is surrounded by seas. Normally, it should drain out, not in. For Gulliver’s geography to work, it has to drain out from a relatively higher elevation, to lower ancient seabed elevations that are still close to the polar levels. The Tharsis volcanic regions are the highest areas on Barsoom, and extend far into the north, up to the sixtieth parallel. The two highest Tharsis regions in that area, including the volcano, Alba Patera and Tempe Terra, form a sort shallow midland or lowland cup between them. Thus, we would have here a relatively sheltered area, constantly draining the run off moisture from the sheer cliffs in the distance. Moisture from the cliffs would collect into rivers, it would support forests and plant life, and eventually collect into a small sea or large lake. Eventually, of course, the lake would drain down into the ancient sea beds, but up around the area between Tharsis and the poles, the sea beds are at their shallowest. So you might well get a river that reached the outer limits of the glaciers. Such an area would be almost invisible to explorers, unless you knew where to look. The Tharsis region would be impassible and fierce for flyers and likely well avoided. It would be too far north for the Green Men to visit habitually. And if the sea was salt, then the river would be considered unuseable, being a salt river. Worse than useless for Barsoomians seeking fresh water. There would be little incentive for Barsoomians to seek the source of a useless saltwater river, no matter how many frozen corpses floated down it. And, we should note, that before John Carter, Barsoomians seemed to show little inclination to explore. They might wander about freely, but many Barsoomians showed a profound obliviousness to, and indifference to, foreign lands. Even lands not too far removed from their own. So its entirely likely that Barsoomians did not go out of their way to wander into a region that had been previously judged poisonous, inhospitable, dangerous and barren in order to see if, by some off chance, there was still a garden of eden there. And of course, there may be another reason. The Thern cult of Iss may well have been active here. In fact, their presence of a sacred river to the afterlife all but guarantees the presence of the Therns. The Thern society may well have kept this last dwindling refuge of Orovars a secret, seeing it as a northern reflection, perhaps, of their own blessed valley and river. Certainly the Therns are the one people who could have gone among the Hither and escaped notice. The lack of technology and technical sophistication is unusual for Barsoom, but not unheard of. The Manator kingdom, very nearly as remote, also lacks flyers and radium rifles. But there are other oddly archaic features of the Hither. They appear to be polytheists, although we don’t receive much detail. In addition to the ‘Iss Cult’ faith of the river of death, there is also evidence of Sun (Tur?) worship and allusion to multiple Gods. The Hither people are undoubtedly an isolated leftover remnant living off of past glory and cut off from the outside world by geography and by the Thither people, so its not surprising that they are not up on modern Barsoomian technology. And indeed, it seems likely that the hairy hybrid race of red men and okars is itself, almost as isolated as the Hither, with similar religious traditions and a similar lack of technology. The hybrids society, like the Hithers, seem focused on the sea and its tributary rivers and forests, with little interest in the inhospitable deserts beyond. Now, on to the final and most important question: Why is it so warm, so far north? The simplest reason of all. Volcanism. Mars has cooled down substantially, and the volcanoes are no longer highly active. But Tharsis was the most active volcanic region on Earth, and the residual heat warms the bowel shaped midland between its peaks, creating a warm temperate microclimate in this isolated region. It is remarkable, of course, but remember, Barsoom has other such hidden micro-environments, from the Lost Sea’s of Korus and Omean, to hidden valleys and forests like Invak, Ghasta and Kamtol, to far more bizarre regions, such as the Kaldane’s land, Bantoom. Thus, the hidden lands of the Hither and Thither, with their forests, rivers and small sea, and their relic white race, and their hybrid red race, are not so unusual or abnormal as to be beyond the ranges of what we have already seen on Barsoom. Rather, it is just one more forgotten corner of the dying world. There is another, slightly less satisfactory, but perhaps equally valid explanation. Gulliver Jones may simply be further into the past than John Carter. It’s been suggested by some that John Carter did not only travel through space, but through time as well, in reaching Barsoom. If this is correct, then the fate of Barsoom is written, it will sometime after the Warlord, become our Mars. If our heroes travel through time as well as space, then it is quite possible that they have different stops. Thus, Carter travels back to the dying world. Gulliver travels back even further to the twilight of the Orovars. In support of this, we might consider Moorcock’s Michael Kane, who definitely travels into Mars past, as well as Bracket’s Matt Carse, who also ventures into the Martian past (though he gets to the planet itself by normal enough means). Of course, the trouble with that theory is that John Carter does not actually seem to travel into the past, his adventures on Barsoom appear to be contemporary, and in fact, there is occasional real time communication between Barsoom and Earth, as noted in the use of the Gridley Wave to chronicle certain Barsoom adventures, and later in the Moon Maid. Barsoomians even build a spaceship to reach Earth in the 21st century. In short, in the Burroughs universe, Barsoom is contemporary with Earth. And further, there seems little evidence for actual time travel in the Burroughs universe, at best, there is a facility to access the memories of ancestors or descendants through some line of reincarnation, but that falls far short. Nor is there any indication of time travel in Gulliver Jones. When he commands the carpet, there are explicit orders as to locations, but he makes no suggestion or hint relating to time, nor says anything which can be construed as referring to time. There is no evidence that the carpet has moved through time. Indeed, quite the opposite, it appears that when the carpet returns him to Earth, an equivalent period of time has passed since his departure. This suggests that the Carpet remained in normal time throughout. So, despite the examples of Matt Carse and Michael Kane, and the speculations of fans, I would be inclined to reject the ‘time travel’ theory. And, as noted, if such a person as Allan Moore chooses to unite the two.... Well, that settles it for all other intents and purposes. For the record, the most likely single spot for Gulliver's Opal Sea is probably at Tempe Terra. If you look on the maps, you'll see that the Tharsis uplift region in the north has two distinct horns. One is Alba Patera, an immense shield volcano. The other is Tempe Terra, which seems to be a rugged hill/highland area marked by straight grooves (canals?) and apparent river structures. The territory seems close to what Arnold describes for Gulliver. Tempe Terra also forms a sort of bowl or crescent at its top, which would form the shore of the opal sea. The downside is that it seems to slope steadily. But even a shallow rise on the northern rim would trap waters in a shallow sea or lake. I suspect that the Opal Sea is a relatively shallow body of water less than 100 feet deep, and quite likely, only dozens, or even a dozen feet deep. It's probably more like Lake Chad, Lake Winnipeg or the Aral Sea than it is like Lake Victoria, the Caspian or Black Sea, or the Great Lakes. The Opal Sea is almost certainly not a stable body of water. Left to its own devices, it would have evaporated long ago. And in fact, its likely simply a geological anomaly, a fragment of the polar ocean stranded by a trick of topography when the rest of the ocean receded. The Lost Sea of Korus is, in comparison, a stable body of water. Its moisure is trapped by the Otz Mountain ranges which surround it, and its waters are continually replenished by the Iss River. In contrast, the Opal Sea has no ringing mountains to secure it, particularly on its northern lee. So it should be in a constant state of drainage and evaporation. Its existence comes from being constantly replenished by waters running or drifting down from the edges of the Tharsis uplift. Essentially, Tharsis, like a mountain range, is above the levels of the moisure bearing clouds. So, when air is moving clouds along, wind currents eventually bring them up against Tharsis, and they pile up like rush hour traffic. The density of the clouds and the density of the moisture in them increases, and eventually this precipitates as rain or run off down the side of Tharsis in the form of mountain streams. 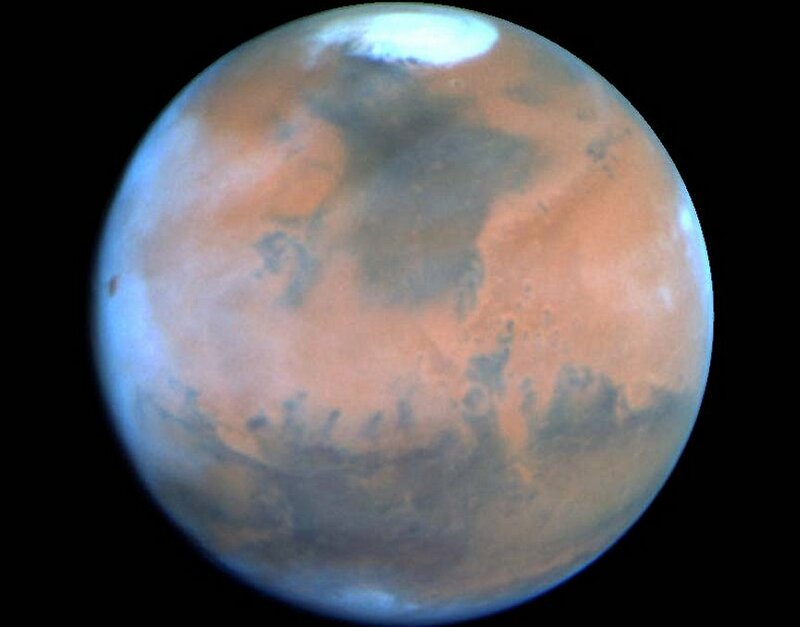 This is why, likely, some of the most fertile remaining regions of Barsoom, like Bantoom or the Kaolian forest, are clustered around Tharsis. Of course, as the water vapour in the atmosphere, or the water bearing clouds slide up against Tharsis, they'll tend to move along its length, sliding north or south. That's as long as there's a relatively straight surface. If on the other hand, Tharsis geography cups or forms a crescent or wedge, then you'll get a collection point for moisture far more effective than we see. These geographical areas literally form a kind of pocket or trap for moisture. Tempe Terra is one such area where you would expect to see a lot of moisture getting trapped. In addition to normal planetary moisure, Tempe Terra is also probably collecting any moisture coming off the North Pole, one of the major repositories of water left in the northern hemisphere. So, as you can see, there'd be plenty of water continually flowing in to sustain the Opal Sea, even though it must be losing its water at an astounding rate. As a further thought, I'm not sure that the glacier full of corpses that Gulliver encounters is actually at the north pole. There are two problems. If we locate the Hither and Thither at the opposite arms of Tempe Terra's shoreline crescent, then the North Pole ice cap still seems too far away by some hundreds of miles, to match up with Gulliver's journey. Secondly, the north polar cap is a glacial highland surrounded by lowlands, so in order for it to work, the river of death would have to flow upwards. On reflection, I'm inclined instead to think that the Valley of Death that Gulliver finds is actually a glacial outlier to the north pole, but not actually part of the north pole ice. It's located on the sea bed, so it may have actually begun as an ancient iceberg calving off the pole, trapped in a lowland as the seas dried up. It's likely sustained by cold polar area temperatures, remnant ice/sea water, by moisture leaching off the north pole, and by waters from the river of death. The sub-polar regions of Barsoom are probably spackled with these little remnant outlier glaciers, much as some parts of the subpolar regions of North America are. Oddly, in one of those 'stepping on your grave' moments, Gulliver actually does contain a direct reference to Isis. The moment comes when Gulliver and Heru are in a library, and she comes across what she says is a book chronicling Earth's legendry, Isis is mentioned, as is Phra (the Phoenician, immortal hero of an earlier Arnold book and according to some, the inspiration for John Carter). The Phra bit is obvious self referencing, and the Isis referred to is clearly an Earth goddess. Nevertheless, if Earthly Gods and Heroes are known of on Gulliver's Mars, then we might infer a borrowing or inspiration of names. It's an odd little coincidence. It's almost certain by the way, that the region has some sort of cosmological significance to the Therns. For one thing, it is on almost exactly the opposite side of the planet from Korus. For another, while the Iss River drains into Korus, the River of Death drains out of the Opal Sea. In short, in geographical terms, the Opal Sea would appear to the Therns as a sort of exact reverse mirror image of their sacred land. They would probably have some metaphysics on the subject. And its likely that the Therns are aware of the Opal Sea. If they're aware of Okar which is even more remote and inaccessible, it seems almost certain that they'd be familiar with the region. In Gulliver Jones, the climax of the novel seems based around a close encounter with a meteor or asteroid, which blazes through the atmosphere, causing a ferocious heat wave and drought through the region, before withdrawing. In astronomical terms, of course, that's pure rubbish. Asteroids and even comets are relatively inert bodies. They don't heat things up from a long way off. Indeed, while an asteroid or meteor's approach might well heat things up, this would be for, at best, only minutes before it hits. Gulliver's heat wave lasts for several days, even weeks, drying out the region almost completely, and in fact, drying out underground wells. So, if we accept that physics in Gulliver's world has even the most half-assed resemblance to our world, then clearly, Gulliver has completely misinterpreted events. What's really going on? Two things. First, there is likely a close approach of a comet. On Earth, Comets were considered evil signs, harbingers of doom, and carried with it a lot of bad karma. Gulliver's carrying on that baggage. 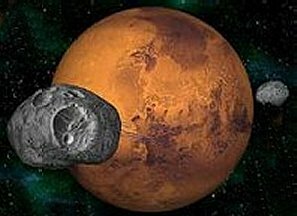 And Mars, being closer to the asteroid belt and more likely the victim of more frequent rockfalls from the sky, probably has its own 'anti-comet' baggage. So, its likely that the appearance of a comet in the sky is taken as a bad omen, and everything bad that happens gets attributed to the comet. The second thing is equally straightforward. Remember that the Opal Sea and its peoples are in the extreme north, in a sub-arctic region. They should be frozen solid. The reason that they are not is volcanic warming, like Iceland in our own north, geological or volcanic heat is making the area far warmer and more liveable than it should be. Well, the thing with geological or volcanic heating is that occasionally it gets a little unstable. Volcanoes occasionally heat up, sputter, cough, or ratchet up the temperatures. So the heat wave that Gulliver experiences, and the drought, are all attributable to a mild uptick in volcanic activity, one which dries up the streams running down Tharsis, and dries out the underground water. The comet which happens to be appearing at the time is considered the ill omen, and is blamed for the heat wave. But in reality, the heat is rising up, not coming down. "....And from the midst of that natal splendour, behind which was the Unknowable, the life came hitherward; from the midst of that nucleus undescribed, undescribable, there issued presently the primeval sigh that breathed the breath of life into all things. And that sigh thrilled through the empty spaces of the illimitable: it breathed the breath of promise over the frozen hills of the outside planets where the night-frost had lasted without beginning: and the waters of ten thousand nameless oceans, girding nameless planets, were stirred, trembling into their depth. It crossed the illimitable spaces where the herding aerolites swirl forever through space in the wake of careering world, and all their whistling wings answered to it. It reverberated through the grey wastes of vacuity, and crossed the dark oceans of the Outside, even to the black shores of the eternal night beyond." This seems a version of the 'let there be light' shtick of genesis. But reading it, I found strange echoes of my own theories of Earth's life force or biomagnetic field, sweeping outwards, transforming worlds in our solar system and beyond, as expressed in essays ranging from the "Are Barsoomians Human" to the "Secrets of Va-Nah" and "Eurobus Revisioned." Of course, its all fluff and coincidence, sound and fury, signifying nothing more than to imprint our own designs upon the void. But interesting nevertheless, n'est ce pa?